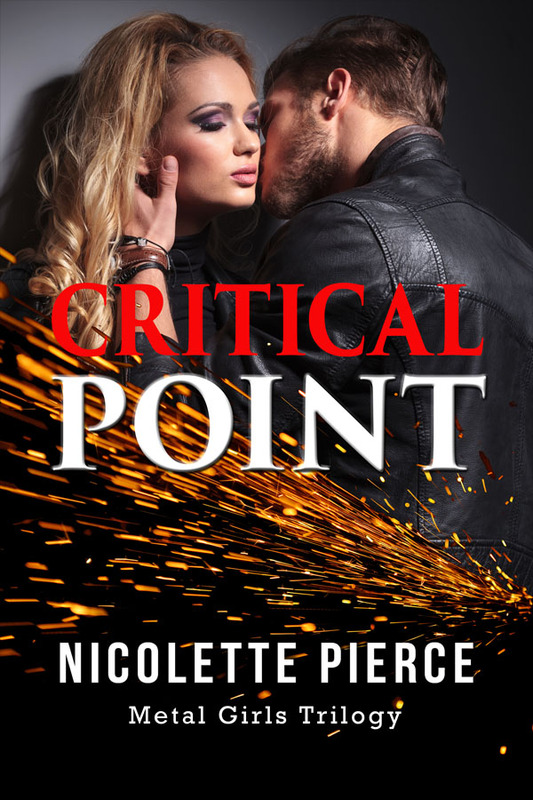 I'm super excited to announce Critical Point has been released. 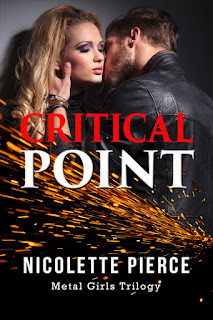 This is the second book of the Metal Girls trilogy and it's hot! After an apprenticeship in Germany, Piper Brennan finally returns home. She had extended her trip in an attempt to avoid Van, her purely one-sided crush. Piper had loved Van for over a decade; she’d have to get over him eventually. They had argued constantly before she had left. However, now that she’d returned, she had a studio to open and life to begin. As long as her nosey sisters didn’t interfere, she wouldn’t have to see Van ever again. Van didn’t mean to drive Piper away. Every time he tried to apologize, it only led to another fight. Learning that Piper had returned was bittersweet. While she was home and safe, she didn’t come to work, which could only mean she didn’t want to see him. He’d give her space, if only her sisters would do the same. However, working for the Brennan family, Van quickly finds himself ensnared in the sisters’ puppet strings. As Van tries to thwart their plans, he discovers a separate and more sinister plot emerging. The bratva, who had threatened the Brennans’ lives two years ago, weren’t through with them yet. Their newest target is the youngest Brennan: Piper. Van knows Piper wants nothing to do with him, but she can no longer avoid him. He'll make sure she remains safe. However, the longer he watches over her, the more he realizes their friendship will never be the same again. He wants more, but is it too late? Find you copy today here! P.S. If you haven't read the first book, check it out here! P.P.S. I just returned from the WisRWA conference in Green Bay. I came back loaded with giveaways. Make sure to watch my Facebook page for great prizes. We're talking books galore and a Kindle!!! First giveaway will happen this week.